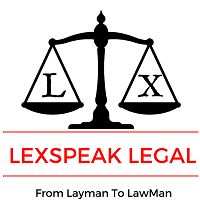 At the Lexspeak Legal, we represent clients throughout Delhi/NCR and the surrounding area in all aspect of divorce. We understand what is at stake for all concerned parties in these matters, and we work tirelessly to secure the best available outcome on our client’s behalf. Our experience in resolving issues for clients in high net worth divorce, 498a, DV case, Mutual divorce allows us to address the unique issues you may be facing in a much more proactive and efficient manner. We also represent clients in a variety of other issues, including matters related to domestic violence, Mediation and settlements. Contact our office at 9891549997 to discuss your divorce-related concerns with an attorney. Just fill the form to get started!! 5 Things you need to plan before the divorce. Is there any chance of reconciliation, having disputes on petty issues, this can be sorted out by discussion. What made you want to get the divorce is it mutual consent or contested, Tell us your matrimonial situations and get best legal advice. Decide on alimony and maintenance, go for a mutual consent divorce as contested divorce costs years, consult us because we convert a lot of contested divorces into mutual consent one’s saving years of money and litigation. Get a well-drafted contract to cover any future litigation in future. If divorce is contested one get best legal help on 498a and on domestic violence, do act. I am a legal professional practicing in all courts of Delhi/NCR,I handle all types of matrimonial issues, related to divorce and maintenance, child custody. 1 Pings/Trackbacks for "Matrimonial|Divorce Cases Helpline"